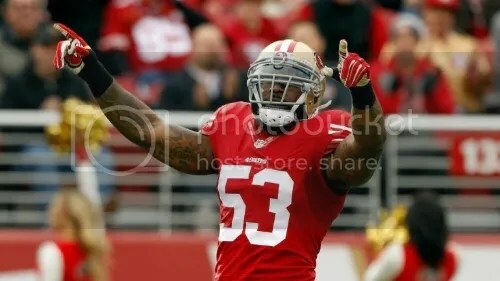 San Francisco 49ers Linebacker NaVorro Bowman. (CBSsports.com). Modern Courage Series: The Modern Courage series examines contemporary figures who demonstrate great personal fortitude and self-sacrifice. In all, the series seeks to build a new definition of ‘courage’ by reviewing the selfless acts of people in the modern world. I hope you enjoy the articles. America is home to scores of multi-millionaires. Some of whom acquired their wealth through legacy, a few by committing unsavory acts, and others who earned their fortune through sheer will and perseverance. San Francisco 49ers Linebacker NaVorro Bowman belongs to the latter group. Bowman’s career has been a succession of personal triumphs, punctuated by hardships that would test even the most resilient athlete. When healthy, no game plan can completely stop Bowman. He is too fast, too strong and applies an intelligence to the game that frustrates the opposing team’s strategy. Despite his on-field brilliance, Bowman has suffered several injury-related setbacks that have continuously placed his career in dire-straits. For most of us, constant hardship leads to personal reflection. We beleaguer ourselves with questions of personal fortitude: can I complete this journey in the face of such struggle? Likely, most would respond by avoiding adversity in favor of a more painless course of action. That is not the case with Bowman, a man who has shown remarkable mental and physical perseverance in the face of great difficulty. For this reason, he is the focus of my first segment of “Modern Courage”. On January 20th 2014, on a cold afternoon at CenturyLink Field in Seattle, Washington, Bowman suffered the most devastating injury of his career. In the final minutes of a hard-hitting NFC Championship Game against the Seahawks, Bowman stripped the ball from wide-receiver Jermaine Kearse on the 49ers’ one-yard line. As the ball came loose and fell into Bowman’s arms, teammate Eric Reid knocked Kearse into Bowman’s left leg, causing his knee to buckle and ACL, MCL and PCL to rupture. Bowman fell to the ground in obvious pain, with the ball tucked under his left arm as several players piled onto him. As Bowman was carted off the field, fans seated in the front row above the players’ tunnel dumped popcorn on him. Eventually, he would find shelter in the locker room. Much later, one doctor declared that Bowman would never play football again. Bowman has worked his way back from several serious football-related injuries during his career. (49ers.com). Before the injury, Bowman was excelling on the field. He was a three-time All-Pro selection, played in every regular season game from 2010-2013 and recorded 145 tackles in his last full year. After his injury in Seattle, Bowman would miss the entire 2014 season, during which he would engage in grueling daily rehabilitation. Even when he returned the following year, his knee still produced ‘piercing’ pain each time he rose in the morning. Regardless, in 2015 Bowman returned to the 49ers and his role as a team captain. Likely playing with only one ‘good knee’, Bowman recaptured his form by recording a league leading 154 tackles and being selected to the All-Pro team. Following his successful comeback, the 49ers organization rewarded Bowman with a contract extension. 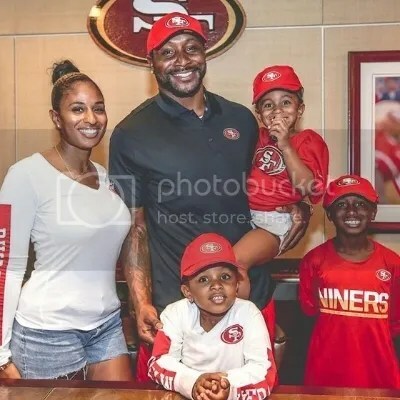 By paying him $77 million and adding four years to his existing deal, the 49ers took note of the importance of Bowman’s character and performance to the team. However, Bowman’s sense of perseverance would be tried again in the 2016 season. During a week 4 game against the Dallas Cowboys, Bowman had already tallied eight tackles and a sack near the end of the 3rd quarter. Before Bowman could record his ninth stop of the contest, he fell to the ground in pain, clutching his left ankle. An MRI exam revealed a ruptured Achilles tendon. He would miss the rest of the season. 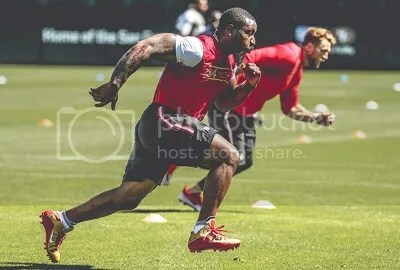 So, Bowman returned to a familiar routine: strenuous in-season rehabilitation, and the sacrifice of leisurely off-season pursuits in favor of rejoining his team. As Bowman returns to the 49ers in 2017, he will do so as an All-Pro linebacker and team captain. More importantly, Bowman will bring his sense of courage to a 49ers franchise that sorely needs his leadership right now. Bowman has said that his family is the reason for his immense work ethic. (Bob Lange). Of course, Bowman’s courage is much more than the physical and mental fortitude he has displayed throughout his career: his truest sense of courage comes from his commitment to team and family. The driving force behind Bowman’s work is his fidelity to his teammates, and more importantly his wife and children. So, as Bowman takes the field in 2017, it is important to appreciate his abilities as a football player. Even when he is not completely healthy, no one plays the linebacker position better than him. It is also essential to value Bowman’s courage and humanity. His career has produced hardships that have given him every reason to retire and ride off into the sunset. However, he has done the opposite, and all in the name of his teammates and family. For that, NaVorro Bowman is someone worthy of recognition, and more importantly: admiration.